Welcome to the Cards for Emily Blog Hop Day 1!!! If you came from Faith Abigail then you are in the right place! If you just happened across my blog and are interested in the entire hop and Emily's story, start back at Michelle's blog at Scrappin' For Kenzie! For this hop all we ask is that you hop through the list, then when you are done, link up your card for Emily at Scrappin' for Kenzie. To link up now, simply click on the "Cards For Emily" button right here in my post!! REMEMBER: There is no requirement to leave comments or even hop through all of the blogs if you don't have time. There will be no personal candy at any of the stops along the way. 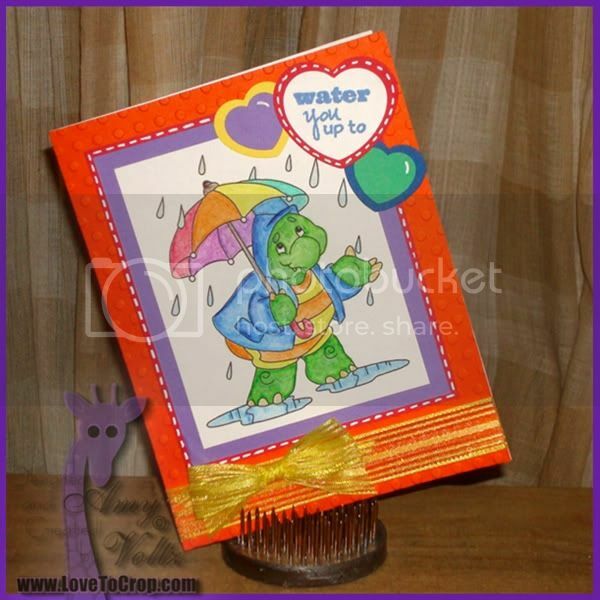 That way you can get maximum inspiration to make your own card and have enough time to link it up and send it away! Their etsy store has over 100 stamps to choose from! Now on to my card for Emily! Your next hop in the line up for day 1 is Elizabeth!! Here is the line-up for Day 1 in case you get lost along the way. Be sure to come back tomorrow as we have all new projects and some new designers! Visit Michelle when you are all the way through or jump here now to link up your card! Amazing job Amy. Great coloring. I am so loving this little turtle! Too cute, great job with the coloring and I just love that sentiment! How cute it is!!! This is just so cute. The bright colors just wonderful and so happy! Your card is fabulous as always!! 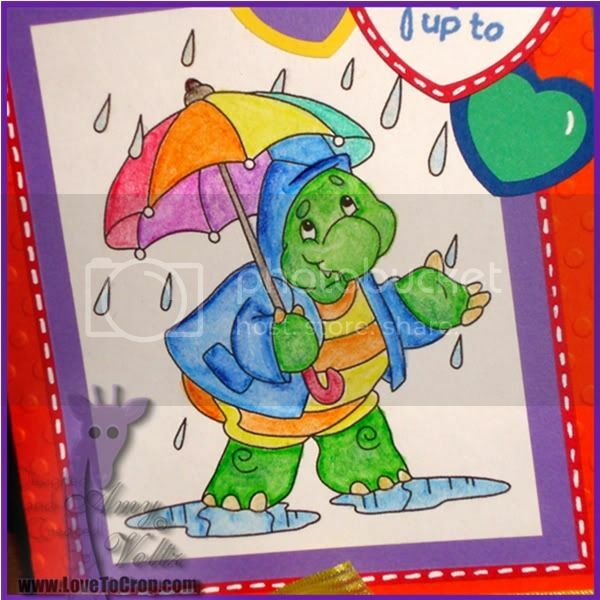 I so love that little turtle and you made him so bright and cheery. 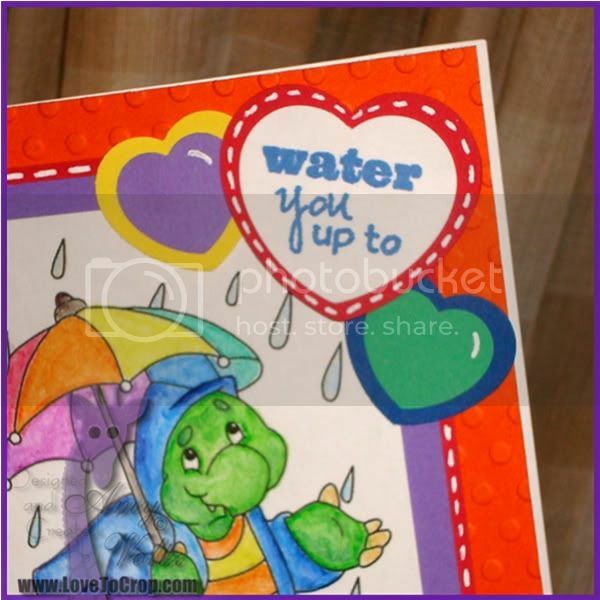 The stamp is cracking me up Water you up too! Great job as always my friend. 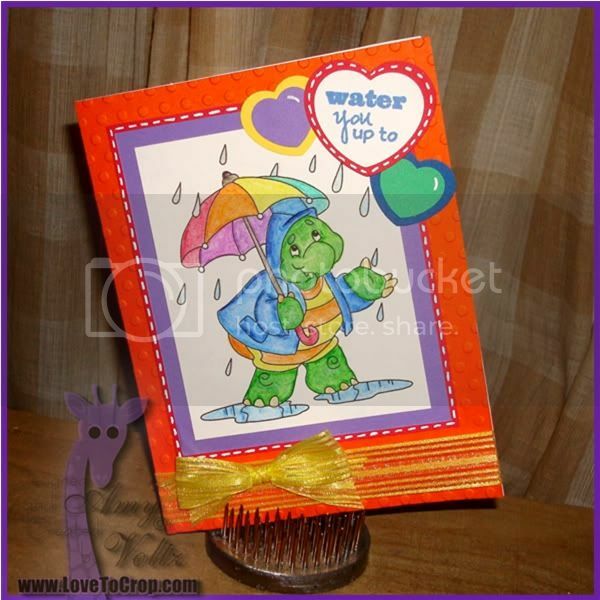 Cute & whimsy Turtle card with wonderful coloring. Amy, This is turtley cute, love your colouring!! Amy this is just so cute, and you colored it beautifully. She is going to love it. You are so sweet, and the details you put into this are perfect! I hope your day was as special as you are me dear sweet friend.